Prescribed to prevent blood clots and stroke, Xarelto (rivaroxaban) is an oral anticoagulant medication that was approved by the U.S. Food and Drug Administration (FDA) in November 2011. Over the years, the FDA has expanded the approved uses for Xarelto, approving it to treat other serious conditions caused by blood clots, including deep vein thrombosis (DVT) and pulmonary embolism (PE). When Xarelto was first introduced to the U.S. market, it was touted as a “next generation” anticoagulant that was safer than older blood thinners (like warfarin). Since then, however, Xarelto has been linked to some severe, potentially deadly complications. 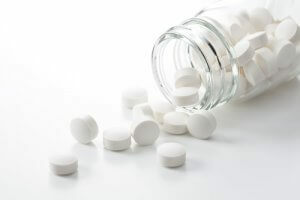 Those who have been hurt after taking Xarelto may have various legal options for seeking compensation and holding negligent pharmaceutical companies liable. A lawyer at Bell & Pollock, P.C. is ready to review your potential Xarelto claim, answer your questions and help you take the right steps to get on the road to justice and recovery. Initial consultations are free, and we do not charge any fees for our services unless compensation is secured for your claim. This means that you have nothing to lose by reaching out to discover more about your rights and legal options. Uncontrollable bleeding – In most cases, this hemorrhaging involves gastrointestinal bleeding and/or cerebral hemorrhaging. Unlike other modern anticoagulants (such as Pradaxa), Xarelto does NOT have an antidote to stop these uncontrollable bleeding events. This makes Xarelto bleeding complications especially critical and deadly, as there is no standard protocol for treating and stopping them. Stevens-Johnson syndrome (SJS) – As a severe and painful skin condition, SJS damages the mucous membranes and is deadly in about 10 percent of patients. Xarelto patients with the highest risk of developing this complication include males between 20 and 40 years old and/or those with a family history of SJS. Wound infections – Xarelto has also been reported to increase the risk of developing serious infections following hip and knee replacement surgeries. These infections can cause wound reopening and painful abscesses. Hepatitis – A disease marked by liver inflammation, hepatitis is most likely to develop in female Xarelto patients, as well as those who are over the age of 60, who are taking Xarelto in conjunction with Cordarone and/or who are within their first month of starting a course of Xarelto. Xarelto comes with black box warnings, the most serious level of FDA warnings, to warn about these potentially life-threatening side effects. Nevertheless, many people have already been hurt by this drug – and many more face a significant risk of developing serious Xarelto injuries. Failed to warn the public that there is no antidote for Xarelto bleeding events. While Bayer and Janssen have already paid out tens of millions of dollars to resolve a number of Xarelto claims, these companies are not off the hook yet. Many Xarelto claims are still pending in state and federal courts across the U.S., and those with new Xarelto claims are welcome to join the fight for compensation and justice. If you or someone you love has been hurt as a result of taking Xarelto, you can turn to a drug injury attorney at Bell & Pollock, P.C. for experienced advocacy and effective help seeking compensation and justice. Call (720) 580-4294 or email our firm for a free, no obligations consultation with one of our lawyers. We can give you the answers and advice you need to protect your claim and your rights to recovery. Experienced at going up against pharmaceutical companies (and other formidable opponents), our attorneys can provide you with exceptional advocacy while helping you hold Bayer and Janssen accountable for the injuries and losses you have suffered due to Xarelto. Let us explain how our representation and guidance can help you recover the Xarelto compensation you deserve. From offices conveniently located in Denver, Greenwood Village, and Steamboat Springs, our lawyers represent clients throughout the U.S. in Xarelto claims, as well as in other dangerous drug cases.